The caves within the mountains hold many secrets including bullet holes from when troops used to spy on the US soldiers relaxing on My Khe Beach below and buildings standing within the caves and grottoes. 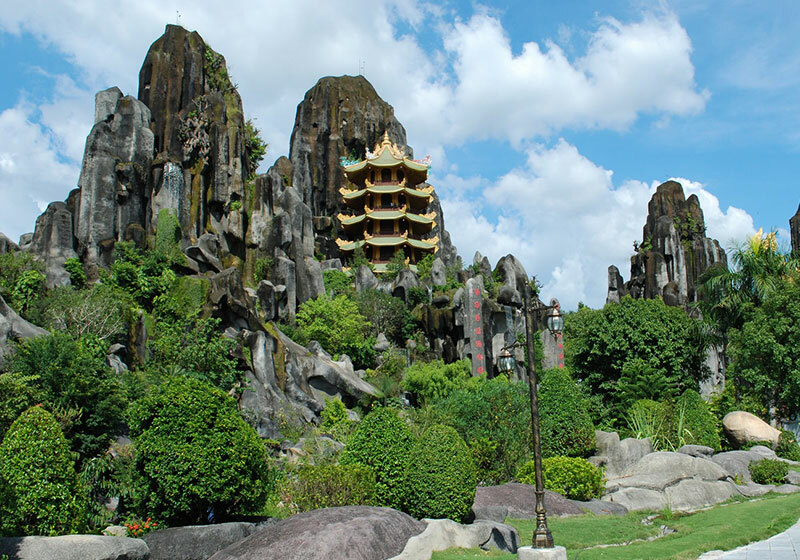 Short Description: Marble Mountains is a cluster of five marble and limestone hills located in Ngũ Hành Sơn District, south of Da Nang city in Vietnam. The five mountains are named after the five elements: Kim, Thuy, Moc, Hoa and Tho.